Epic Games, the company behind Unreal Engine 4, is showing off its brand-new real-time rendering technology, and with it the future of game and animation development. The company is set to unleash two real-time production videos next week at SIGGRAPH, a computer graphics event. You might not be familiar with Unreal Engine 4, but you’re probably aware of it’s work. Video games like Fortnite, Kingdom Hearts III, and Sea of Thieves are built with it. Movies like War For The Planet of The Apes , and Emmy Award-winning TV shows like Disney’s Amigo use it as well. We had this mandate to showcase all these things with Unreal Engine 4 and Fortnite, we wanted to touch on all the important aspects of the game-play, and focus on the characters, all in engine. We also had to make it a compelling story in three-minutes, and all of it had to be done with real-time production. The real-time production aspect is the result of new technology that affects every aspect of development in the engine. Once the designers created the characters and props that would be used in the trailer they were able to import and then experiment without having to constantly stop for rendering. This new process is far more interactive. Traditionally time-intensive actions like camera placement, lighting, and color effects can be rendered in real-time. This allows the director – or co-directors in this case – to work more like a film director would on a set. What we’re doing hasn’t been done in engine before. It’s amazing, to be able to see the full resolution renders in the thick of battle saves a lot of time on the back-end. We’ll be able to swap assets in and out in real-time as we play the trailer at SIGGRAPH, to demonstrate the ability to render these things in real-time. You’ll be able to see the color of a character’s outfit change, or the sword go from a regular sword to flaming sword, at one point we’ll hzve the scene go black-and-white and make the music change to suit that mood. We can do this all in real-time with Unreal Engine 4. Unreal Engine 4 is a beautiful reminder that technology and art can merge in fantastic ways. 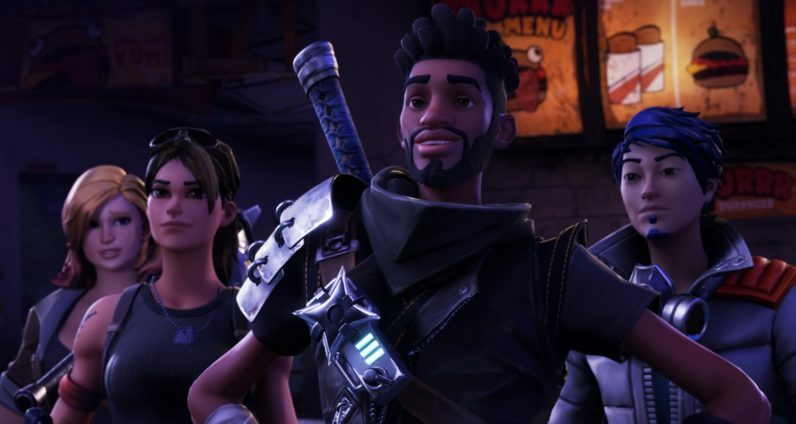 The graphics for Kingdom Hearts III are some of the best we’ve seen, and the trailer for Fortnite is as impressive as the game itself. If Epic Games has its way you’ll be seeing a lot more real-time production in animation, video-games, and beyond.